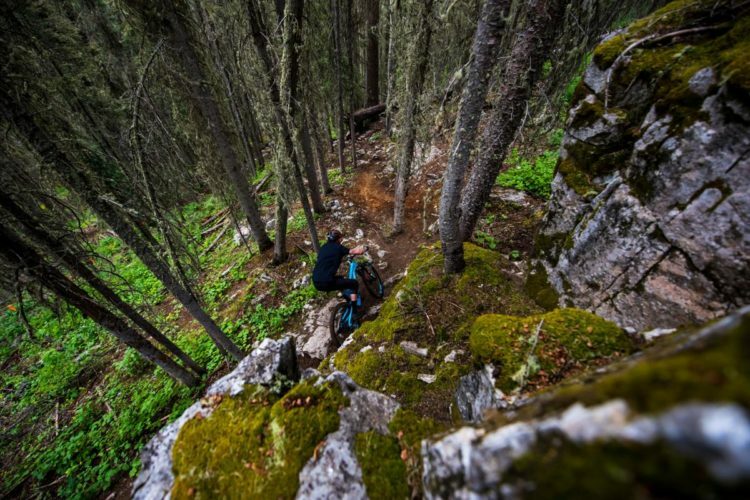 Mountain biking isn’t a means to an end. Its purpose is not to be a vehicle by which I make a living or achieve some other goal, it is the end goal in and of itself. 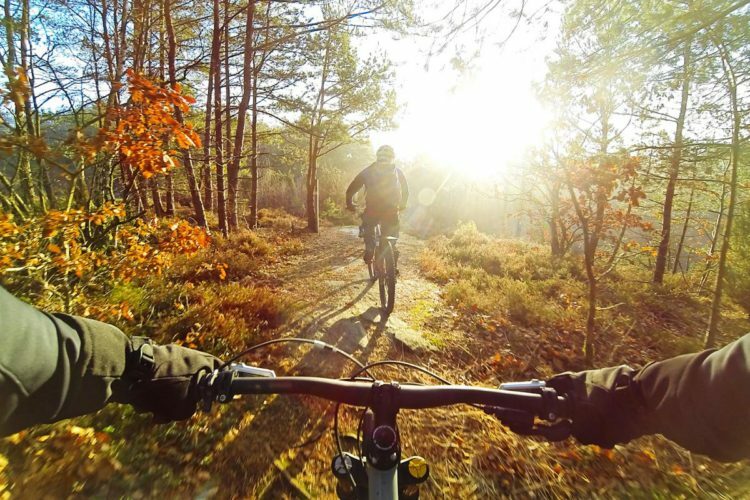 Mountain biking isn’t a step in the journey, the journey is itself the destination. If the journey was to end, that would mean that the destination was not successfully reached. A conclusion would mean failure. 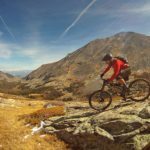 The question “why do you mountain bike?” presupposes that mountain biking is instrumental in achieving an end goal for you, like fitness or something of the sort. 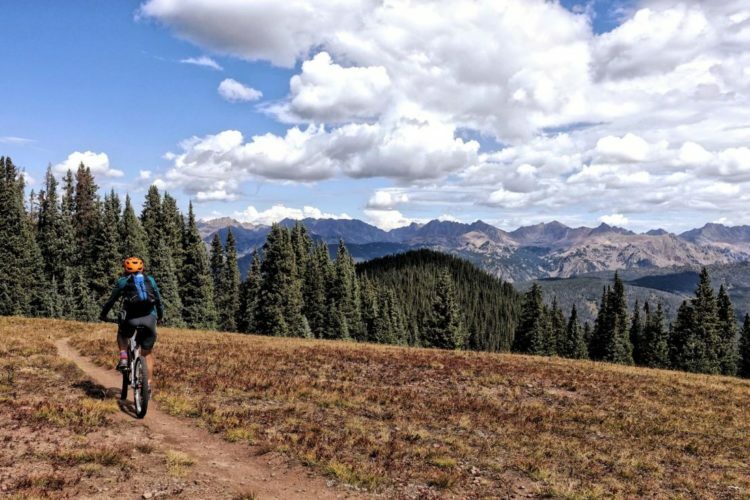 For me, fitness is a pleasant byproduct of riding my bikes in the mountains—a byproduct that I value, but one that is subordinate to the main goal nonetheless. I make no such excuses. 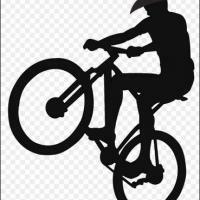 Rather, I ride my mountain bike because I enjoy riding it. 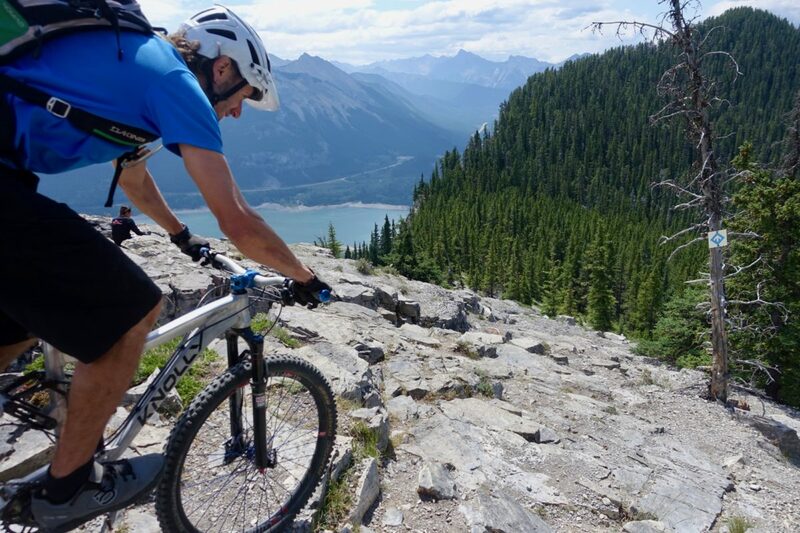 Maybe then “happiness” is the answer to the question “why do you mountain bike?” but happiness seems to me to be the root answer to the majority of life’s questions, if we take the time to be honest with ourselves. More to the point, I don’t feel like I need to create an extraneous excuse in order to justify my time on the mountain bike. I don’t need to be training for a race. I don’t need to be trying to lose weight or gain fitness. I don’t need to necessarily be socializing with a group of friends or filling some sort of obligation. 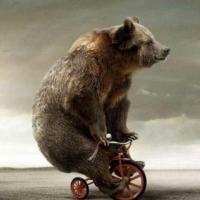 I ride my bike because I like to ride it. 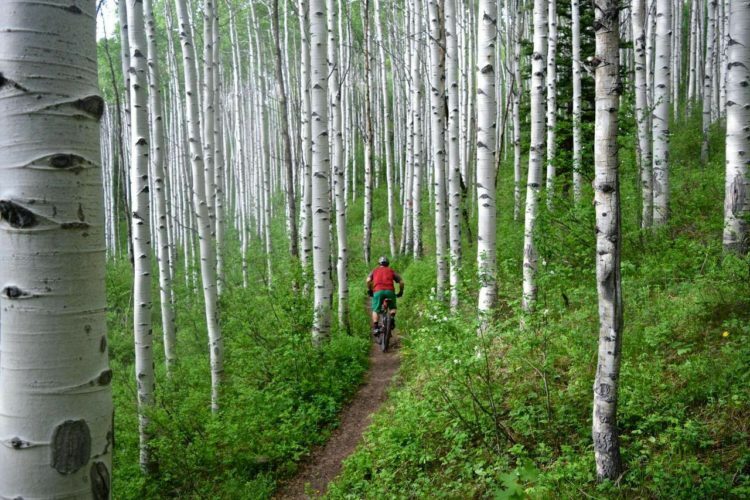 Mountain biking is an intrinsic good because it is worthwhile all by itself. There are numerous people that get into hobbies, sports and other interests for more than just simple enjoyment of them. Just recently, I had lunch with an old friend and alumnus. Back in school twenty plus years ago, he’d taken up golf. I’d known him to be a big fan, with all the gear, memberships and even living in a country club neighborhood where he could drop in on the course anytime. I considered him to be big fan of the sport and a lifer as many who go that route are. I was shocked to find out that he hadn’t played in over three years. He came to realize it was mostly about being around certain people for business and/or social connections all of whom he no longer cared about. You may think how shallow that sounds, but I assure you, in the business and professional world it is very common. 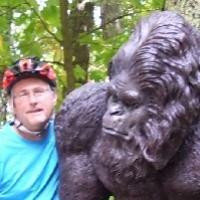 On the contrary, I was into mountain biking before I went off to school. I did it throughout and I still do. I’ve met tons of people, made many friends, traveled, raced and had many adventures through my mountain biking adventures. If all of the people, races and everything disappeared I’d still do it. I stopped trying to influence anyone on getting into it years ago. I need no more justification than I like it and it’s fun. Sure the health benefits and all the other stuff is swell, but honestly I don’t give a rat’s tuchus about that. 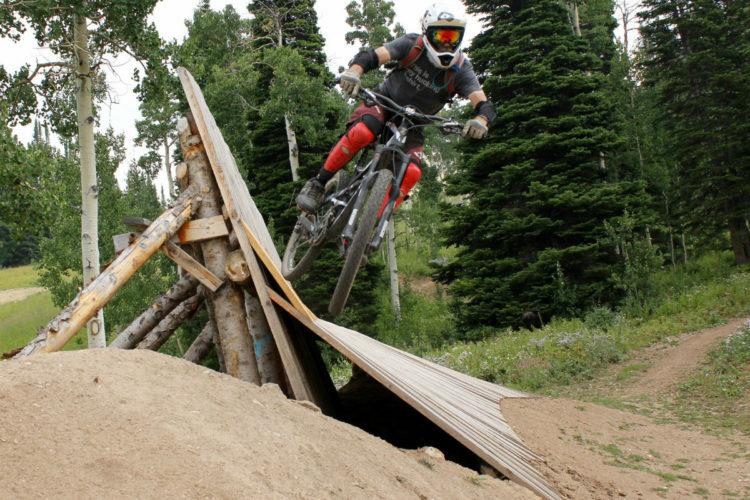 Mountain biking for me is riding a human powered roller coaster on an shifting track. Most don’t want that kind of craziness in their life, but I thrive on it. So well said! Thanks for chiming in! @GregHeil: “So well said!” Jeez, even with my redundancy and rhetoric?!? Editing is the cornerstone of fine writing, but I was in a hurry. Thanx nonetheless. 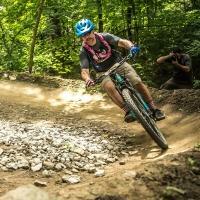 “Mountain biking for me is riding a human powered roller coaster on an shifting track. Most don’t want that kind of craziness in their life, but I thrive on it.” – So much this! How can you not enjoy being in natures landscape and taking it in? Nice post @Dr Sweets! @TonyLeonardi: It should read, “Mountain biking for me is riding a human powered roller coaster on an ever shifting track. Most don’t want that kind of craziness in their life, but I thrive on it. I forgot the “ever”, but alas I was in hurry as mentioned. Greg, I’ve discovered that one of the few advantages of getting older (I turned 55 this year) is I no longer spend time worrying about what other people think about me — or my clothes, car, income or house. I don’t feel much peer pressure anymore, nor do I feel obliged to defend my opinions and passions. People who care about me accept the fact that I love mountain biking, even though they will never understand why I am so passionate about doing it. Unfortunately, the world is full of people who are on a mission to tell others how to live their lives. Those are the people I cheerfully ignore because I realize that not everyone’s opinion matters. I’m a lot younger than you (54 next month) but I too have reached the same conclusion. In my teens and twenties I was mildly concerned about what people thought of me and in my thirties and forties I realized that I no longer cared what others thought of me. Now I realize that other people weren’t thinking of me at all. Im a lot older than you both — turned 58 TODAY, ha! — and this article nails it. Bending my bike around corners in beautiful forest settings is both the means and the end for me. I see this all the time, esp among younger, married friends, where “training” is acceptable to spouses, as opposed to “I just want to go goof off on my bike with my buddies”. What Riverntrail said! I too just hit 55 and no longer care what people think. Boy is there freedom in that! My time, my money, my adventure….the freedom to pedal when, where, how far, how fast, with or without whom ever you choose…..that’s why I ride. 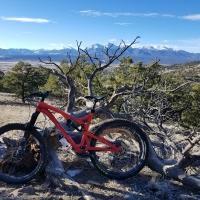 I truly enjoy MTB just because I do. I don’t know why and I am not going to go out and psychoanalyze my feeling. I don’t have time for that. That’s like asking, why you like spending time with your children.